This Go Fund Me has been set up by Dominick Donnelly on behalf of the Steering Committee of CHASE. Dominick is a member of the Steering Committee, and all funds raised here will be transferred to the main CHASE account, to help build a fighting fund for the legal battles ahead. Thank you so much to all who have contributed to help CHASE's upcoming High Court judicial review challenge to the granting of planning permission for an incinerator in Ringaskiddy. As you may have seen in the media, the High Court granted CHASE leave to take the Judicial Review last week, and the review itself will start on Feb 12th next year. Altogether CHASE is taking the Judicial Review on 98 different grounds, and so it is likely to be quite long and drawn out in the High Court, as we seek to have this horrendous decision overturned. This fight has cost, and continues to cost our community a huge amount of money, and we value every contribution, however big or small. 17 years on and there is still no Indaver incinerator in Ringaskiddy, and our community will never let it be built. The response to date has been phenomenal, and CHASE continues to fundraise, as we can only estimate what it is all going to cost. Please follow CHASE on Facebook ( https://www.facebook.com/CHASECorkHarbour/) or Twitter ( https://twitter.com/CHASECorkNews), or check the CHASE web site ( http://chasecorkharbour.com/), for ongoing information on the campaign and fundraising events. Thanks again to all those who have contributed. Dominick Donnelly, on behalf of the CHASE steering committee. 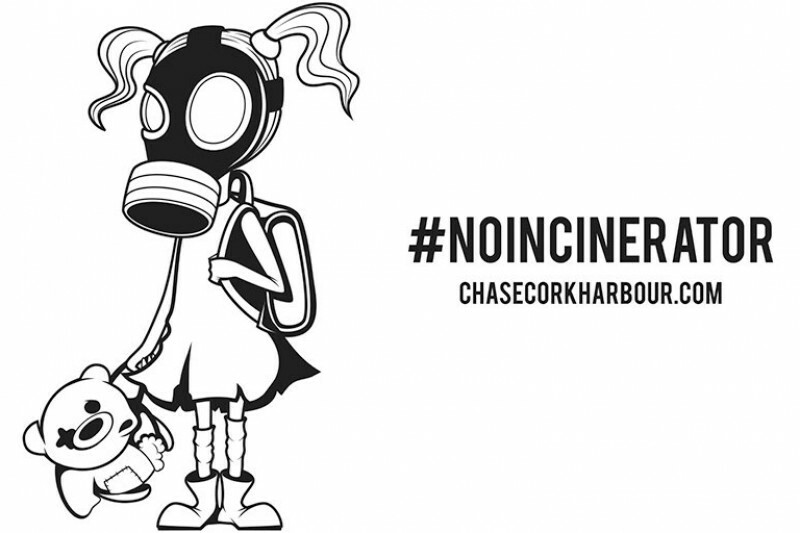 Thank you for your contribution to CHASE's funds to take a legal challenge to the recent decision to grant permission for the incinerator in Ringaskiddy. It has been a phenomenal response, and we have collected over €32,000 so far. There will be two public meetings this week on the issue, tonight Tuesday 5th at 8 pm in Carrigaline Community Centre, and tomorrow Wednesday 6th at 8 pm in Ringaskiddy Community Hall. There will be a meeting next week in Cobh (details to follow). Please come to one of the meetings if you can. Please also encourage your friends and family to contribute to our funds, and keep promoting it on social media, as this really is the most important thing we can do at the moment. I intend to keep you all updated with progress about once or twice a week for the next number of weeks. Please let me know if you would like to unsubscribe from this list. Dominick Donnelly, on behalf of the CHASE Steering Group.